Don’t just chase your goals — raise them, and enjoy our workout recovery products while you’re at it. Rest and recovery are just as important as giving it your all in your workout! Support your muscles and enhance your fitness when you use our NSF Certified for Sport recovery formula. Recover smarter so you’re ready for your next workout! 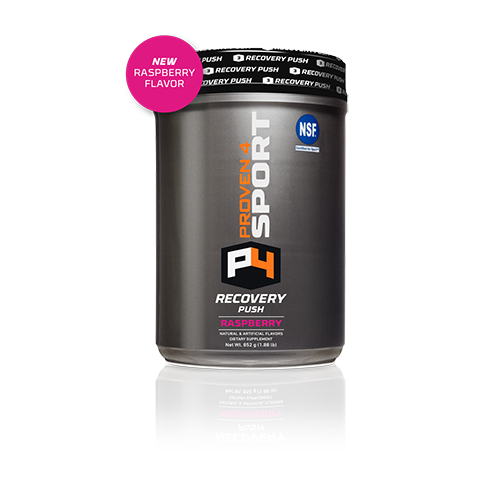 Experience a recovery formula with balanced electrolytes and BCAAs, in addition to a carb loader that restores glycogen levels. Round it off with the NSF Certified for Sport® seal of approval that you can trust! What is in Recovery Push Formula? Why: This fast-digesting complex carbohydrate digests easy while supplying a lasting energy at a greater rate than other carbs like dextrose, pasta, bread, or rice. Other benefits include its ability to preserve muscle mass and support recovery. Why: Feeding hungry muscles branched-chain amino acids (BCAAs) helps reduce muscle breakdown during intense workouts and activities. Why: Enables cells, nerves, muscles and organs to maintain regularity. Why: it also assists with protein synthesis, recovery of muscle cells, and immune functions. The NSF International is an independent third party testing and certification company that tests dietary supplements for label claims. Getting the green light to put “NSF Certified for Sport®” mark on our Energy Formula label means the product has met NSF’s comprehensive testing guidelines and is label-claim-verified. Combine 1 scoop (28.3g) of Raspberry Recovery Push Formula with 8-10 oz. of water in a shaker bottle. 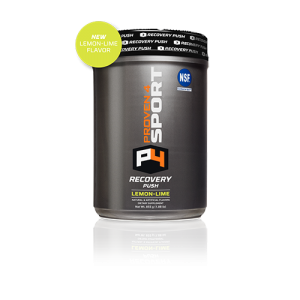 Shake it up and consume Recovery Push Formula during or after your workout or game. Seize victory, celebrate your win, or prepare to crush tomorrow’s training session as your body begins to refuel and recover.